Is this the way we will all be ‘enjoying’ our television programmes and computer games in the future? 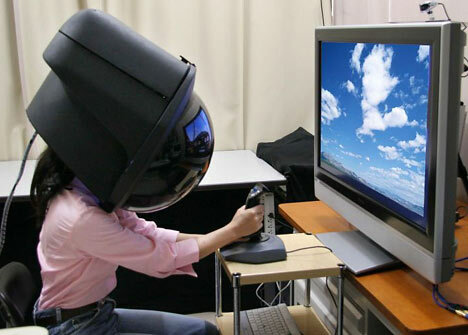 In this astonishing photo, a model is wearing a new gadget, from electronics manufacturer Toshiba, that enables the wearer to experience a full 360-degree view on a 40 centimetre dome-shaped screen. Workstations available on the market today are built around standard elements (workbenches, chairs, racks, etc.) and are not ergonomically optimized for the intended use. 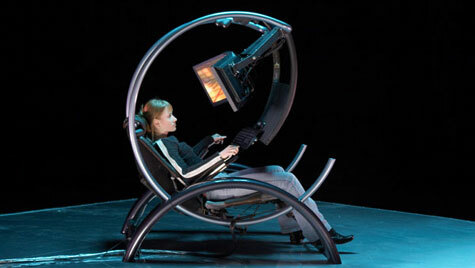 The modern person spends a lot of active and productive time sitting, and even nowadays a good old chair is most often used for this purpose, albeit with some modifications. Its present day design, of course, incorporates different lining and padding, adjustable head-rest and arm-rests, all these amenities helping the person spend several hours per day sitting a bit more comfortably. Recently, a group of researchers involved in medical research for persons with spinal cord injury has decided to design and build a workstation which would most closely answer the needs of general computer users. The result is GRAViTONUS?, a revolutionary multifunctional computerized system, created to provide for optimum ergonomic conditions at work. It enhances users` comfort, improves their productivity and keeps them in good health. 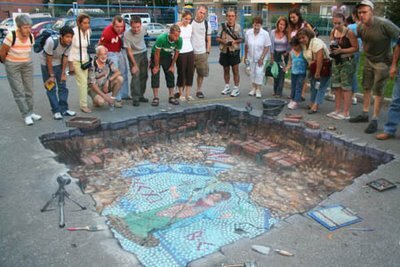 Julian Beever is at it again! This time he made two new wonderful 3D chalk drawings. I love this kind of street art. If you jump inside this article you can see realistic lobster illustration, with additional photo from different point of view. Enjoy! This first picture you see shows that beneath every street there may be some archeologist’s treasure.